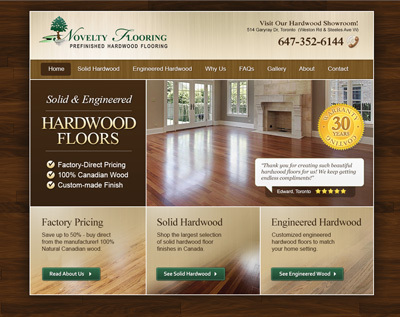 Toronto hardwood manufacturer that creates beautiful custom hardwood floors, including solid hardwood and engineered hardwood. 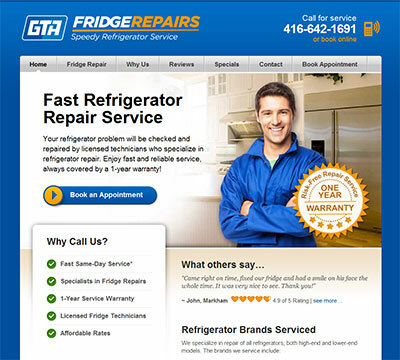 Provides reliable refrigerator repair services in the Greater Toronto Area. 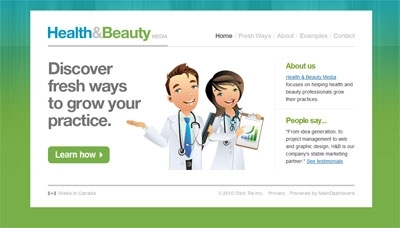 Health & Beauty Media is dedicated to helping professionals in health and beauty arenas grow their businesses through the use of online marketing tools. 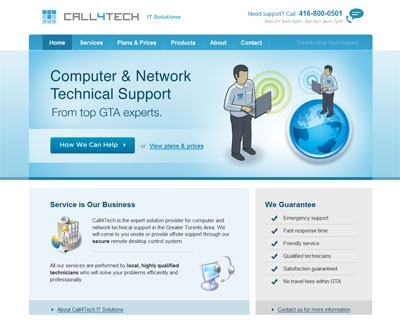 Call4Tech provides computer and network support services to small and medium-sized firms in Toronto and the GTA. 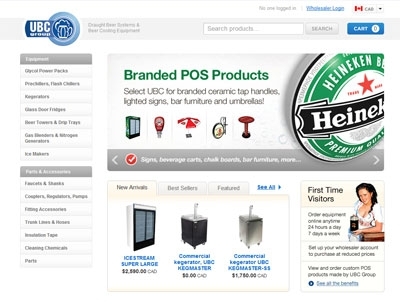 UBC Group is a leading manufacturer and global distributor of quality beer and beverage equipment and promotional materials for breweries and beverage companies. 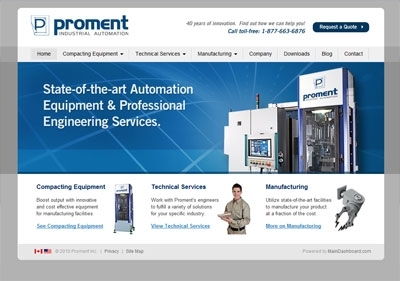 PROMENT specializes in the manufacturing of automation tools and production lines, PROMENT is a “ONE STOP SHOP” for all industrial automation needs. 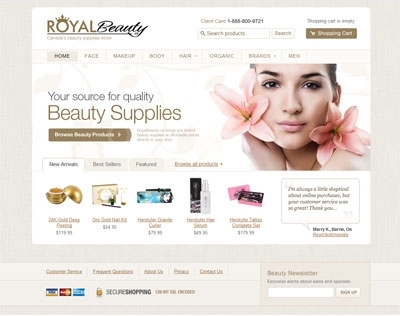 Royalbeauty.ca is an online retailer of professional beauty supplies in Canada. 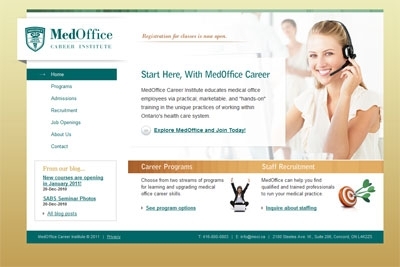 MedOffice Career Institute educates medical office employees via practical, marketable, and “hands-on” training in the unique practices of working within Ontario’s health care system. 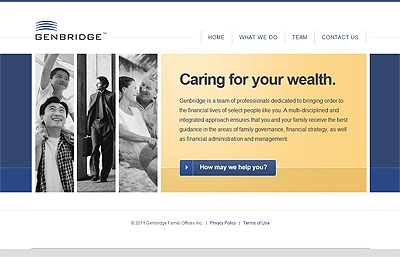 Genbridge is a team of professionals dedicated to bringing order to the financial lives of select people. 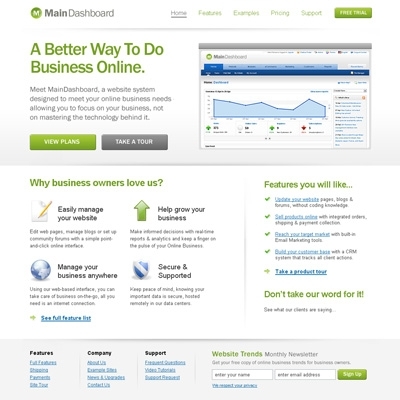 A powerfull website content management system by MainDashboard.com will turn your website into a true online business. 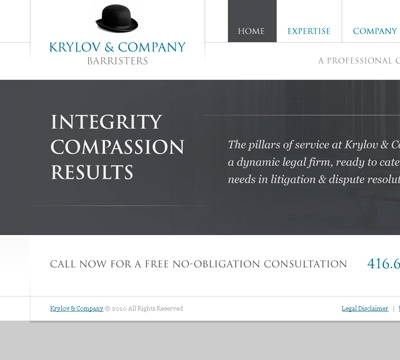 Krylov & Company is a dynamic law firm, waiting to cater to your legal needs. No issue is too big, no problem too small. Their lawyers are well versed in the litigation process, as well as, alternative dispute resolution. 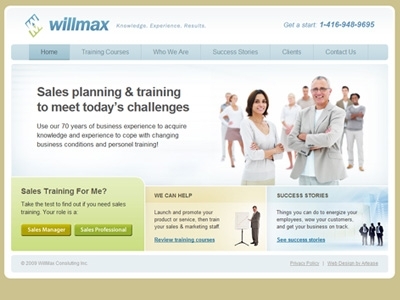 A sales and marketing coaching company run by professionals with over 70 years of business experience. Shall We Dance is a fun place to learn how to dance, for both beginners and advanced students in Toronto and GTA areas. They needed a website design that will present them as solid and professional but also as glamorous and fun. This website also provides tools to easily update news and calendar events. 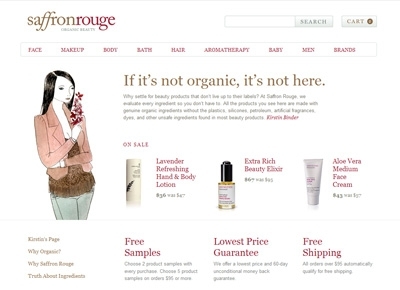 An online cosmetics store that has the largest selection of organic beauty products. 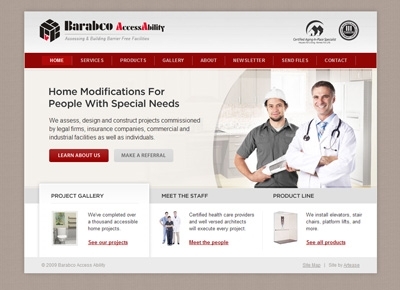 Barabco Access Ability helps people that went through serious accidents by improving their living conditions at home. They assess, design and construct solutions for commercial and industrial facilities as well as individuals. Displays And Holders is a supplier of acrylic display products. We built them a website and an online storefront that will enable them to sell their products directly to retail customers as well as attract wholesale business clients by enabling wholesale discounts. 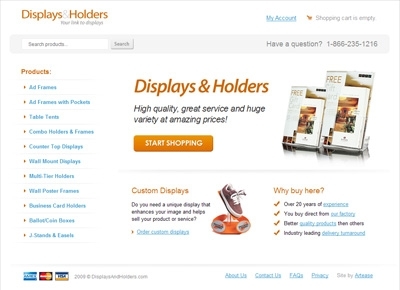 The website is both easy to use and allows for full website and store management. 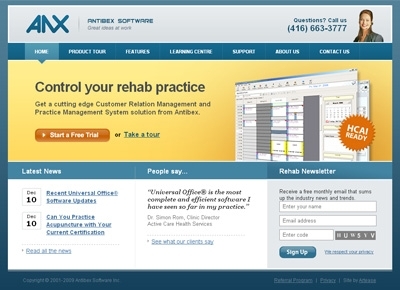 Antibex Software is a Toronto based company that has been helping medical practitioners manage key operational aspects of their practice, allowing them to dedicate more time to patient care. 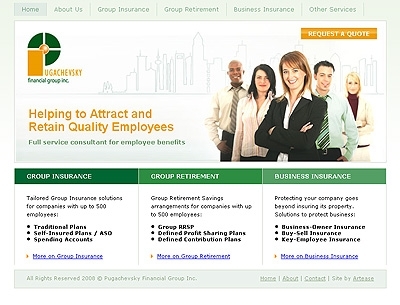 They needed a website that will reflect their corporate colors and is easy to update. Now, they can manage almost every aspect of their website content using a password protected website manager utility. Pugachevsky Financial Group Inc. is an independent insurance brokerage and consulting firm with over 7 years of experience on a group insurance and group retirement markets. 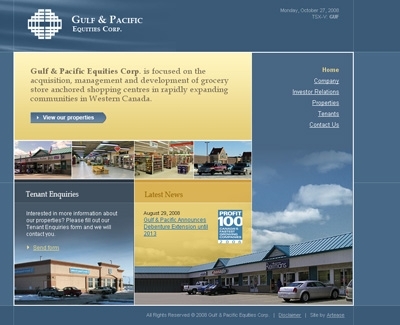 Gulf & Pacific Equities Corp. is a company focused on the acquisition, management and development of grocery store anchored shopping centres in rapidly expanding communities in Western Canada. 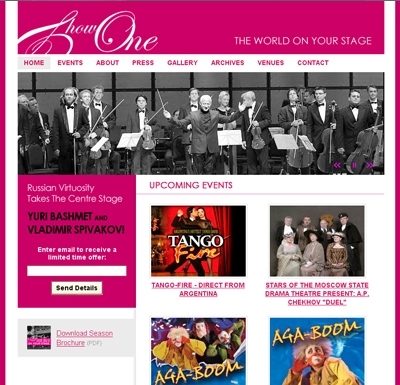 Show One Productions Inc. is a production and promotion company that is focused on presenting international artists of classical and popular genres. 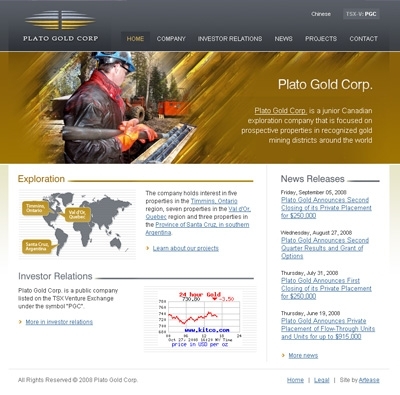 Plato Gold Corp. is a Canadian public company that deals with gold exploration. They needed a website that will showcase their corporate information and their gold mining sites for existing and potential investors. This corporate website needed a simple content layout with an easy to use navigation structure. 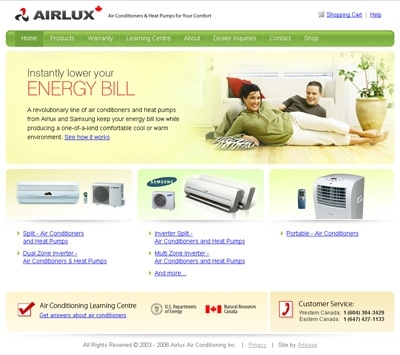 Airlux Air Conditioning is a manufacturer of residential and commercial air conditioners. They distribute and install portable air conditioners with a revolutionary new system that keeps your energy bill low while producing a one-of-a-kind comfortable cooling environment. Purple Heart Yoga offer quality yoga clothes with inspirational embroided yoga designs. 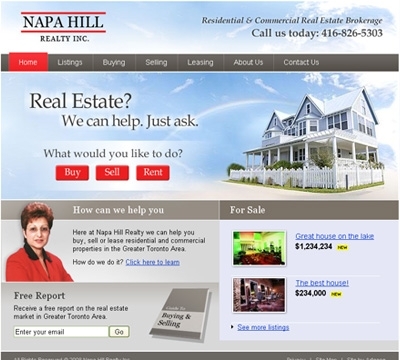 Napa Hill Realtry helps people buy and sell homes in Toronto. They needed a website that will allow them to easily post properties for sale and market their services on the Internet. We built a custom content management system that made all this possible. 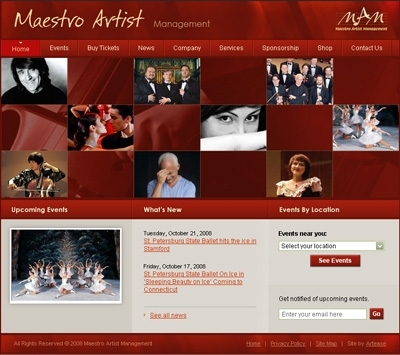 Maestro Artist Management is a production, touring and promotion company that presents international artists in various genres, from classical music and dance to theatre and world music, to audiences in the US. 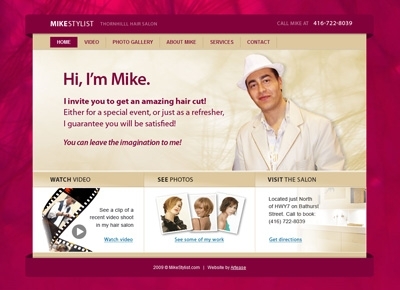 Website for Mike, a hair stylist from Thornhill who expanded the marketing of his salon to the Internet, with emphasis on social media channels like Facebook and Twitter. His website design is simple and very personal. By creating fan groups and Facebook ads, we were able to drive specific demographic of visitors to his website. 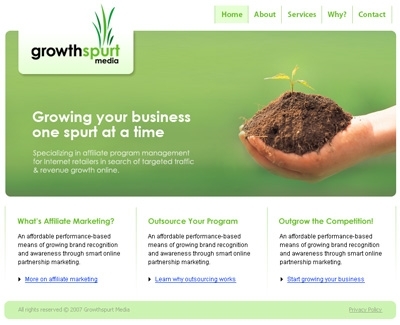 Growthspurt Media offers expert affiliate program management and consulting services for internet businesses. ConnecTV Media International is the leading provider of international programming via satellite, cable and IPTV in North America. 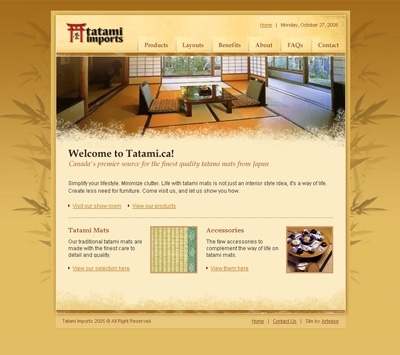 Tatami Imports Inc. is a Toronto based supplier of Japanese tatami mats. All their products are Made In Japan and their close association with several Japanese tatami manufacturers from across Japan provides a great variety, expertise and support that no one else does. 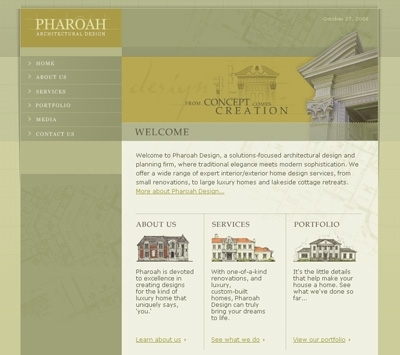 Pharoah Design is a solutions-focused architectural design and planning firm, where traditional elegance meets modern sophistication, – offering a wide range of expert interior/exterior home design services, from small renovations, to large luxury homes and lakeside cottage retreats.